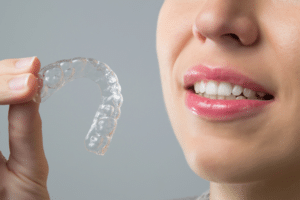 Many Invisalign and Invisalign Teen patients receive a new set of aligners and experience some initial slight discomfort from the edge of their Invisalign aligners. In order to resolve this issue, we recommend using an emery board, which is similar to a nail file, featuring a smooth side and a coarse side. An emery board may help with smoothing out the edges for a more comfortable fit. Orthodontic wax is a silicone wax that is made for dental use and applies clear. In addition to using an emery board, you can also apply orthodontic wax along the gum line to help reduce or prevent irritation in your gums, tongue, or lip. A small strip of wax is pushed up flat against the gums to prevent Invisalign aligner edges from irritating gums. Canker-X is an ointment used for the treatment of canker sores and other sores in the mouth. This ointment contains a topical anesthetic known as benzocaine, which helps numb the area of application. In addition, canker-x also acts a bandage that sticks to gums or lips to provide hours of comfort and relief. A Cortlandt Manor orthodontist such as Dr. Glaser may prescribe medication for pain if necessary. However, over-the-counter pain relievers are very helpful in the 24 hour adjustment period with your new set of aligners. When wearing clear aligners for the first time, it may be beneficial to apply aligners and take aspirin before sleep to prevent discomfort and soreness. As a result, your aligners should have a more comfortable fit by the time you wake up. Invisalign may cause dry mouth in some patients, especially those who do public speaking such as speeches, lectures, or business meetings. Biotene is a moisturizing mouth spray that prevents dry mouth by lubricating the inside of your mouth for hours of additional comfort. XyliMelts are lozenges that rest in between your cheek and gums in order to coat, soothe, and moisturize the mouth throughout the day or night. 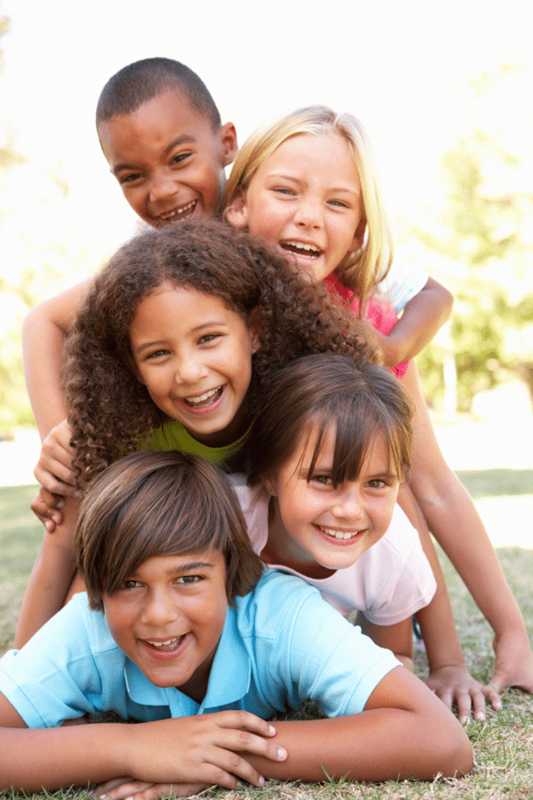 Dr. Glaser and our team at Glaser Orthodontics are experts in orthodontics. We are here to answer any questions or concerns you may have regarding Invisalign or Invisalign Teen in Cortlandt Manor NY, Croton-On-Hudson NY, Jefferson Valley NY, Buchanan NY, Montrose NY, Yorktown Heights NY, and the surrounding areas of Westchester County NY. Contact Glaser Orthodontics today to schedule a free consultation. Call now (914) 739-6400. 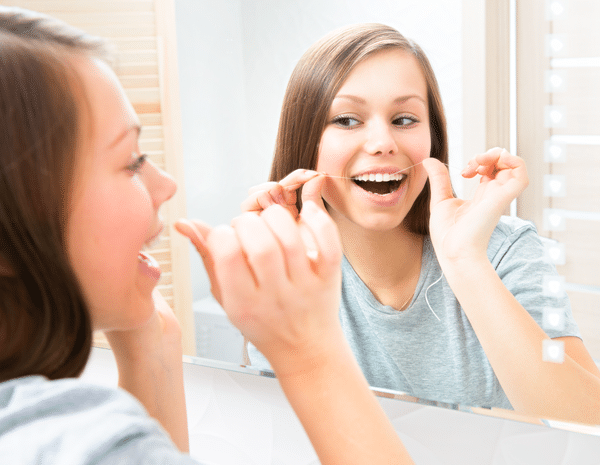 Are you having trouble deciding between Invisalign Vs. Smile Direct Club? 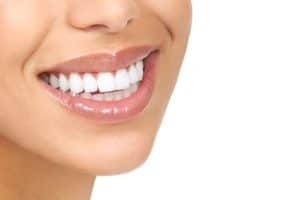 At Glaser Orthodontics, we are dedicated to educating our patients about the latest treatments and offering affordable costs that accommodate any budget. 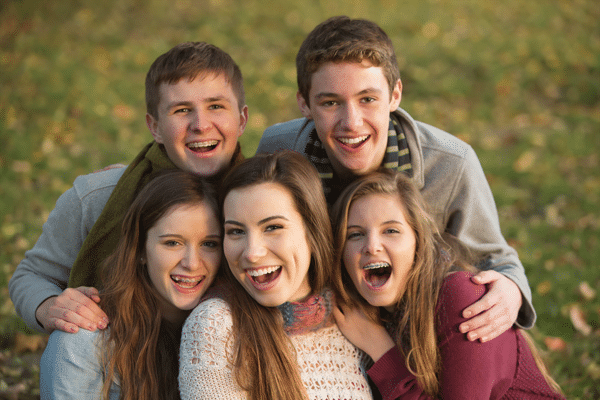 Our team at Glaser Orthodontics specializes in Invisalign and Invisalign Teen in Cortlandt Manor NY. As a leading Cortlandt Manor orthodontist, Dr. Glaser is knowledgeable and experienced in all forms of orthodontic care. As a result, we provide supervised treatment with Invisalign by an orthodontic specialist that received the necessary education and training to help guarantee the best possible results. The Invisalign system uses sets of clear aligner trays to provide proper alignment the same as traditional braces. Clear aligners are virtually invisible so no one will ever have to know about your orthodontic treatment. 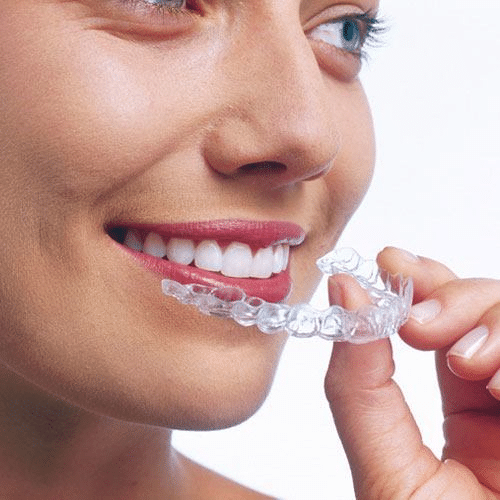 Each set of aligners is made of smooth and lightweight plastic to gently and gradually shift teeth into alignment. Invisalign and Invisalign Teen are custom-made with SmartTrack material for a perfect fit that will never slip out or affect your speech. 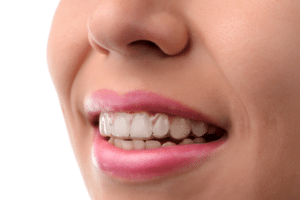 Smile Direct Club also uses sets of clear aligners to gradually achieve straighter teeth. 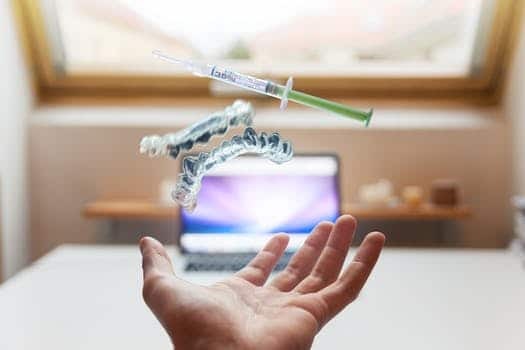 However, Smile Direct Club is designed to eliminate visits to an orthodontist by allowing treatment to be completed from home. First, you will need to locate a nearby “SmileShop” where dental impressions are taken. In addition, you also have the option of receiving a dental impression kit in the mail. Once your dental impressions are received, each set of aligners will be delivered right to your door. However, it is important to keep in mind that Smile Direct Club eliminates the supervision of an orthodontist or dental professional throughout the course of treatment. 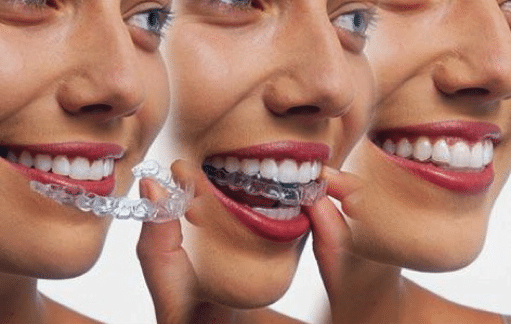 The American Dental Association strongly discourages against do-it-yourself orthodontics because of the potential dangers or harm it can cause. It is believed that supervision by a licensed dentist or orthodontist is necessary for all phases of orthodontic treatment including oral and periodontal examinations, X-rays, treatment planning, prescriptions, periodic progress evaluations, and a stable final assessment. If the current course of treatment is not achieving the proper results, an orthodontist has the choice to switch to braces or another form of effective treatment. As a result, continuous supervision by a Cortlandt orthodontist such as Dr. Glaser will ensure the health of your teeth to prevent tooth loss and any other unnecessary complications. In conclusion, Dr. Glaser and our team at Glaser Orthodontics are experts in various forms of orthodontic treatment. We are here to answer any questions or concerns you may have regarding Invisalign, Invisalign Teen, or Smile Direct Club in Cortlandt Manor NY, Peekskill NY, Yorktown NY, Croton-On-Hudson NY, Jefferson Valley NY, Buchanan NY, Montrose NY, and the surrounding areas of Westchester NY. Contact Glaser Orthodontics to schedule a free visit today. Call now (914) 739-6400. Invisalign patients of Dr. Barry Glaser enjoy a more comfortable and convenient orthodontic treatment around Garrison, NY, in Putnam County, NY. The system of plastic aligners are effective at providing the wearer with a straighter smile while being much less noticeable in the mouth. Invisalign offers benefits that traditional braces can’t offer; they are removable by the wearer. This is a critical reason why many Glaser Orthodontics patients have chosen Invisalign for themselves. 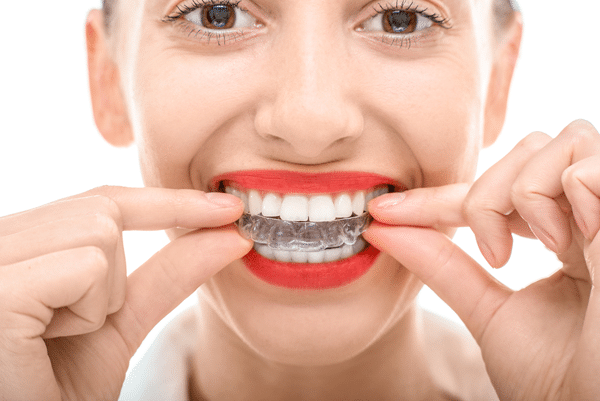 Although Invisalign is one of the most advanced orthodontic treatments available today, patients are reminded that their teeth and the aligners need regular attention during treatment. Keep Invisalign in a safe place: Invisalign aligners are compact and clear, and some patients find them easy to misplace. 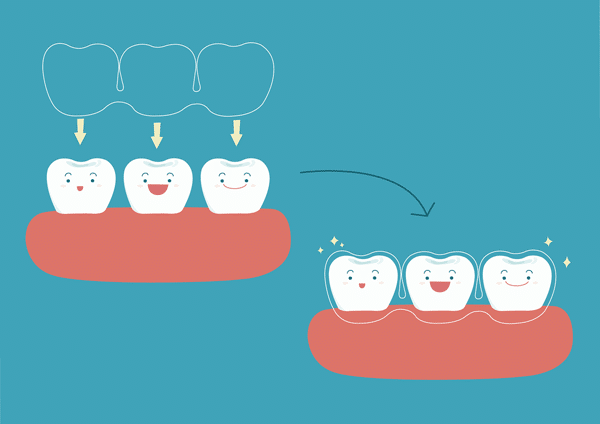 Always keep the clear aligner trays in a case or safely tucked in a plastic bag within your pocket, purse, or bag. Do not wrap them in a napkin when taking them out to eat. Many patients end up accidentally tossing the napkin out in the trash! If you have pets at home, make sure too that your aligners are always high up and out of reach of probing paws. The plastic material may be appealing to them as a chew toy. Remove Invisalign to eat and drink: One of the great benefits of the clear aligners are that they are removable. Dr. Barry Glaser says to take advantage of this! Always take your plastic trays out when you’re eating or drinking. Leaving them in may lead to staining of the trays or other damage, such as distortion of shape due to hot food or drinks. Plus, removing them makes eating much easier. Clean your Invisalign properly and thoroughly: To keep the clear aligners working well for your smile and for your oral health, be sure that you are always cleaning them correctly and completely. The plastic trays should be cleaned at least twice a day, preferably after meals. Dr. Barry Glaser recommends that patients use a small toothbrush to softly brush the insides of the aligners with just a tiny drop of toothpaste. 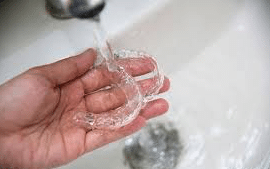 Some patients use denture cleaner as a soak for their clear aligners. (Simply fill a cup with warm water, put the tablet in, and let the aligners soak.) Glaser Orthodontics says both methods will keep the clear aligners looking clean, feeling fresh, and working effectively. Wear Invisalign as directed: The most important aspect of treatment with the clear aligners is to use the system properly. Always follow the exact instructions from Glaser Orthodontics. Likely, this means never leaving the trays out of your mouth for extended periods of time, and always being aware of updating the set of trays when the 2-3 week time period has elapsed. Patients should remember that the longer the clear aligner trays are out of a patient’s mouth, they are not working to correct their orthodontic issue. This will extend the treatment time for the wearer.